On June 30, 2014, the Federal Trade Commission (FTC) in the United States imposed a significant fine upon cosmetics giant L’Oréal USA for making false claims in its advertising. The products L'Oreal claimed had physiological effects that produced lasting results are its Lancôme Génifique and L’Oréal Paris Youth Code anti-aging skincare products. On June 30, 2014, the Federal Trade Commission (FTC) announced a significant settlement with cosmetics giant L’Oréal USA based on advertising claims for its Lancôme Génifique and L’Oréal Paris Youth Code anti-aging skincare products. Advertising for topical beauty products has rarely been the target of FTC enforcement, perhaps because the FTC’s focus has been on products claiming to help with problems far more “serious” than aging skin, such as chronic diseases, weight, smoking addiction and more. This enforcement void, coupled with advancements in skin care technology and understanding how the human body’s largest organ (the skin) works, may have led some in the industry to push the envelope, claiming products have physiological effects that produce lasting results. This case should serve as a wakeup call for companies that are under the impression cosmetics might be held to a lower degree of scrutiny by the FTC and other government agencies. In brief, the FTC requires that all companies have a “reasonable basis” to support claims in advertising. In the case of health-related claims, the FTC generally requires that the support be “competent and reliable scientific evidence.” Exactly what meets that standard depends on many factors, including the nature of the product and the claim. However, according to the FTC’s complaint, the study did not test a L’Oréal Paris Youth Code product or one of its ingredients, but rather evaluated gene expression in groups of men and concluded that the expression of certain genes was delayed in aged skin. Under the settlement, L’Oréal is prohibited from claiming that any Lancôme brand or L’Oréal Paris brand facial skincare product targets or boosts the activity of genes to make skin look or act younger, or respond five times faster to aggressors like stress, fatigue, and aging, unless the company has competent and reliable scientific evidence substantiating such claims. The settlement also prohibits claims that certain Lancôme brand and L’Oréal Paris brand products affect genes unless the claims are supported by competent and reliable scientific evidence. Notably, this provision applies not just to the products named in the lawsuit, but to any Lancôme or L’Oréal Paris facial skincare product. Finally, L’Oréal is prohibited from making claims about these products that misrepresent the results of any test or study. This case is important for a number of reasons. Each year, the FTC brings numerous cases against ingestible products, including dietary supplements and foods, claiming to impact disease, weight, memory, and other important conditions. 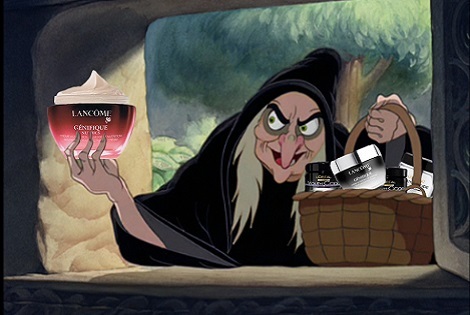 On the other hand, FTC enforcement actions against topical products making “beauty” claims, such as anti-aging, anti-wrinkle, etc., have been as rare as unicorns. When the FTC previously targeted a topical product, it has generally been a topical weight loss product (the FTC’s position is no topical product can cause substantial weight loss). For example, the last case involving a cosmetic company was the January 2014 settlement with L’Occitane, Inc., based on claims that its Almond Beautiful Shape and Almond Shaping Delight “slimming” products caused weight loss. Similarly, FTC brought an action against Beiersdorf, Inc. in 2011, for advertising claims about its Nivea My Silhouette skin cream. Again, that case was based on claims that the product caused weight loss through topical application. While a single FTC case is not exactly a trend, over the past few years other government agencies, including the Food and Drug Administration (FDA), seem to have stepped up enforcement against cosmetic advertising. Per FDA law, claims for cosmetic products must be limited to claims related to “cleansing, beautifying, promoting attractiveness, or altering the appearance.” Claims that stretch outside of that regulatory definition, including claims that a product affects the “structure or function” of the skin, can cause FDA to consider the product to be a drug and are therefore more likely to garner scrutiny. For example, in late 2012, the FDA issued warning letters to Lancôme (for the Génifique products) and Avon. In the letters FDA alleged that the claims made “indicate that these products are intended to affect the structure or any function of the human body, rendering them drugs under the Act. The marketing of these products with claims evidencing these intended uses violates the Act.” Some state attorneys general and the National Advertising Division (NAD) of the Council of Better Business Bureaus have also thrown their hats in the ring, scrutinizing the advertising practices of companies in recent years. This case may signal the beginning of a crackdown against companies that have pushed too far into the grey area between drug and cosmetic claims. Cosmetic marketers should be careful when crafting claims even when they use ingredients that can actually cause physiologic changes to the user’s skin. Of course, no matter what category of product is being sold, marketers must have supporting evidence for claims that both meets required level of support needed and is relevant to the claims. Simply put, regulatory compliance is more important than ever to ensure that your marketing plans are implemented without a wrinkle. Ivan J. Wasserman is a partner in the advertising, marketing & media division of the law firm Manatt, Phelps & Phillips. La Toya C. Sutton is an associate in Manatt’s advertising, marketing & media division.